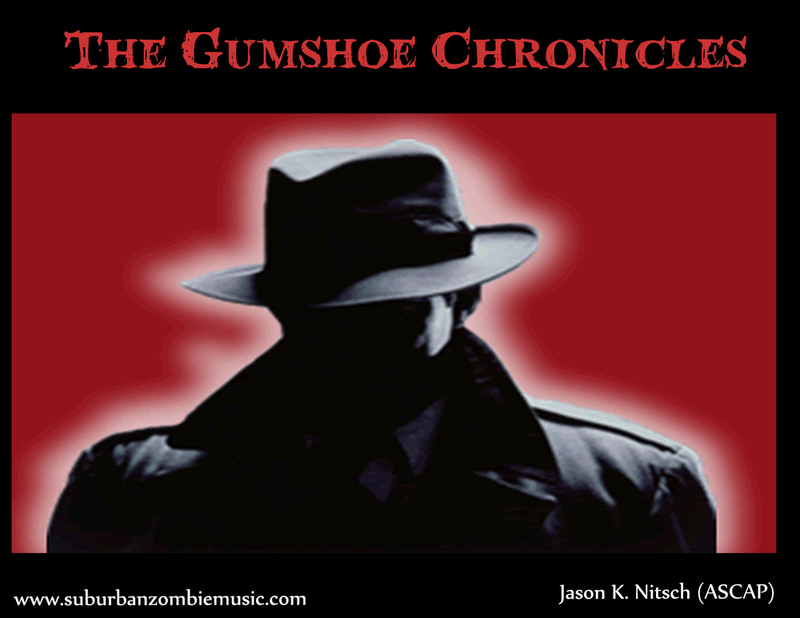 The Gumshoe Chronicles — Jason Nitsch. I Write music. "I knew she was trouble as soon as she walked into my office . . . "
Written in the great tradition of the old school detective story, this show will be a big hit with your students and your audience! Featuring a pre-recorded voice over which can be sampled and triggered by your students, this mystery will thrill the crown every time! Many thanks to voice-overs talents Ethan Lyon and Gale Cohen for lending their special touch to this project!